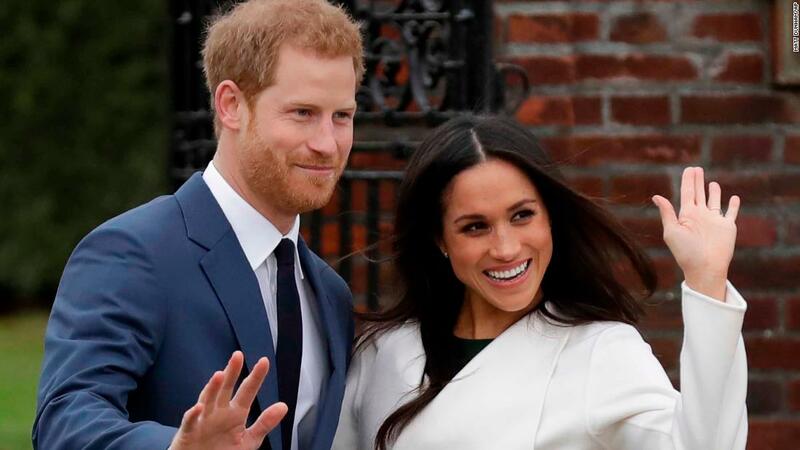 London (CNN) Britain’s Prince Harry and the American actor Meghan Markle have described their joy at the prospect of getting married, hours after their engagement was announced on Monday. “Prince Harry has also sought and received the blessing of Ms. Markle’s parents,” the statement added. The couple went before photographers on Monday afternoon before taking part in a broadcast interview which will air in the evening. Harry’s grandparents, Queen Elizabeth II and her husband Prince Philip, are “delighted” for the couple and “wish them every happiness,” a Buckingham Palace spokesman said. The palace did not say what titles would be conferred upon the couple when they are married, but the prince is likely to be awarded a dukedom, meaning Markle would become a duchess. Markle will not become a princess in her own right: only daughters of royals can claim such status. Shortly after the announcement,Kensington Palacereleased a statement on behalf of Markle’s parents, Thomas Markle and Doria Ragland. Harry and his fiancée made their firstpublic appearance as a couple in September at the Invictus Games in Toronto. Harry’s marriage to Markle will not be the first time a British royal has wed a divorcee. The British media has previously compared Markle to Wallis Simpson, the divorced American whose relationship with King Edward VIII led to his 1936 abdication.